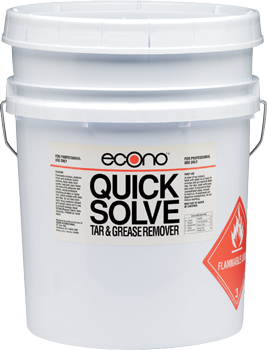 VOC-compliant Econo® Quick Solve™ is a solventbased degreaser specifically designed for parts cleaning and part washers. 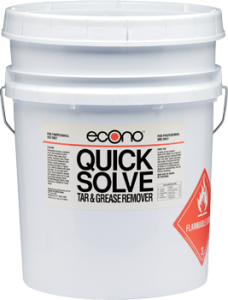 The special solvent action dissolves grease and dirt on contact. 1. Spray or brush on. 3. Use in parts washer full strength. Combustible material, store away from heat. Use in well-ventilated area. Avoid prolonged exposure.